Aug 2013. A brand new VM450 vacuum excavator has just been delivered to Karratha for a civil contractor installing substations for RIO TINTO. Vacuum Excavation is useful for safely digging around existing underground service without damaging them. A high pressure water pump for potholing as well as 250L clean water tank is supplied with the unit. The VM450 vacuum excavator, can hold 450L of spoil and can be easily carried on a small truck or 2 T trailers. The skid version incorporated forklift holes in the base allowing for easy loading and unloading from back of a tray. Tie down points are also incorporated to safely secure the unit. 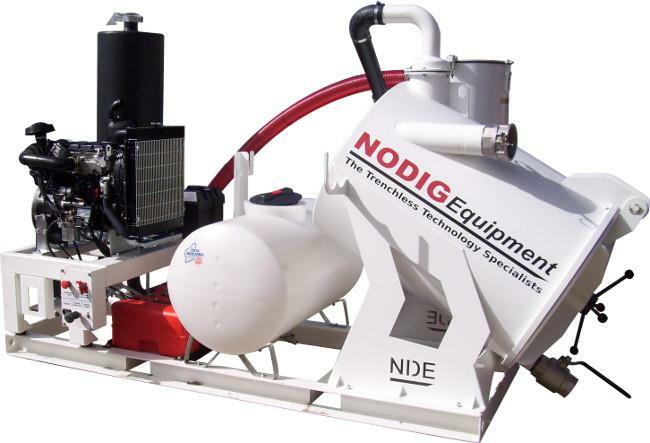 Alternatively, view the whole range of vacuum excavator available from No Dig Equipment here.